"The narrative behind the Diorama Map series is the fluid nature of memory and the setting is always a city. 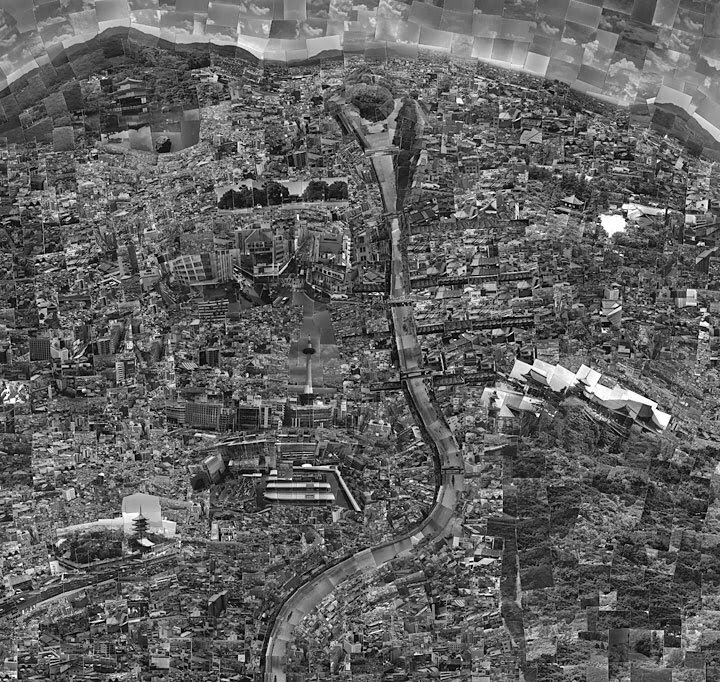 The creation of a Diorama Map takes the following method; Walking around the chosen city on foot; shooting from various location with film; pasting and arranging of the re-imagined city from my memory as layered icons of the city." 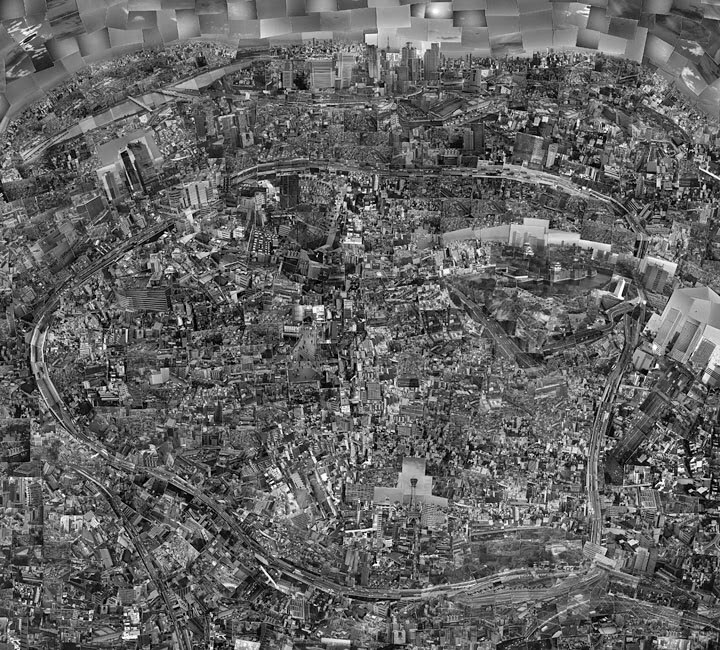 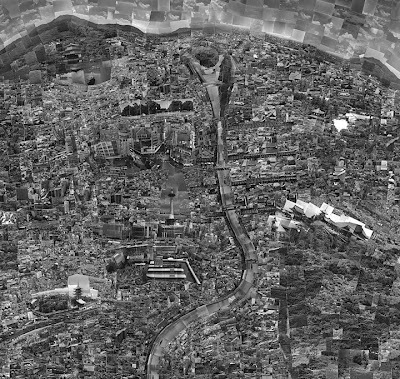 For those who think photography of the urban landcsape is starting to look all the same, Sohei Nishino could be a pleasant discovery: rather than endlessly praising the New Topographics behind us, why not approach the subject and actually draw a city with photographs? 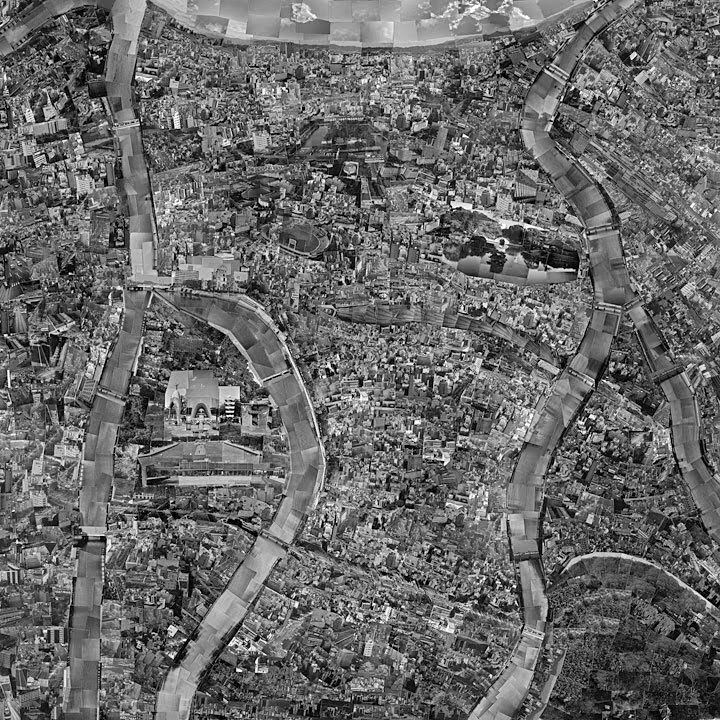 More or less the way a child would draw a house with a chimney and a fence, trees around and a blue sky and some fluffy clouds on top, not caring about what should be bigger or smaller, what should be up or down, near or far.